BornCute is an online resource developed and managed by child-loving parents just for parents who want nothing less than the best for their children. We strive to help parents make the right decisions when it comes to helping their respective children to develop physically, mentally, socially, and emotionally well-balanced through play and the use of developmentally-appropriate toys and playthings. Parenting requires commitment, dedication, and an excellent understanding of the growth and development needs of our children. While it is true that we were children once, the changing times have clearly spurred the development of more innovative approaches to child care and child rearing that the things we once knew as children may no longer be applicable. Today’s children are more technologically-attuned and have to be prepared to face the many challenges of the 21st century. Parents have a critical role to play in choosing the right kinds of learning and fun activities for their children so they will grow up physically and mentally healthier, more socially responsible, and more emotionally stable. Play is undoubtedly the best and most effective way to teach kids about things in life as well as help them develop and grow as more well-rounded adults. We believe that toys are the necessary instruments to ensuring that the aims of play in children are achieved. Choosing the right kind of toy is crucial in helping children grow and develop to their full potential. 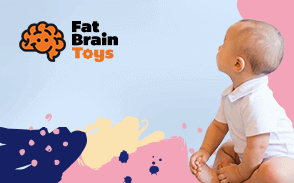 At Born Cute, we aim to provide invaluable tips to parents to help them make the correct choice of developmentally-appropriate toys and playthings. We aim to share with parents and other caregivers the importance of gaining a much-deeper understanding of the developmental milestones of their children and how these can relate to their choice of the most appropriate toys for their kids. We believe that, as parents, we are responsible for who our children will be someday. We have a team of toy aficionados who are so passionate about toys and how such playthings can mean to the overall development of a particular child. Our toy selection process helps in identifying the right and most appropriate toy for a particular age group and developmental maturity. Parents who are having difficulty choosing which toy to give their children will find our list of top and best toys to be particularly beneficial. At Born Cute, we are very optimistic that our top and best lists will provide parents with a more focused source of information on what they can provide their kids. This makes shopping for the right toys a lot easier.